It was this thought that inspired the invention of the Diamond Pier Foundation System. If you’ve ever spent an entire day digging holes in the hot sun or in freezing temps, or tried to dig post holes in a sandy beach terrain just to have the holes collapse, or had a project delayed waiting for a hole inspection, then you’ve probably had this same thought. The Diamond Pier system IS that better way. 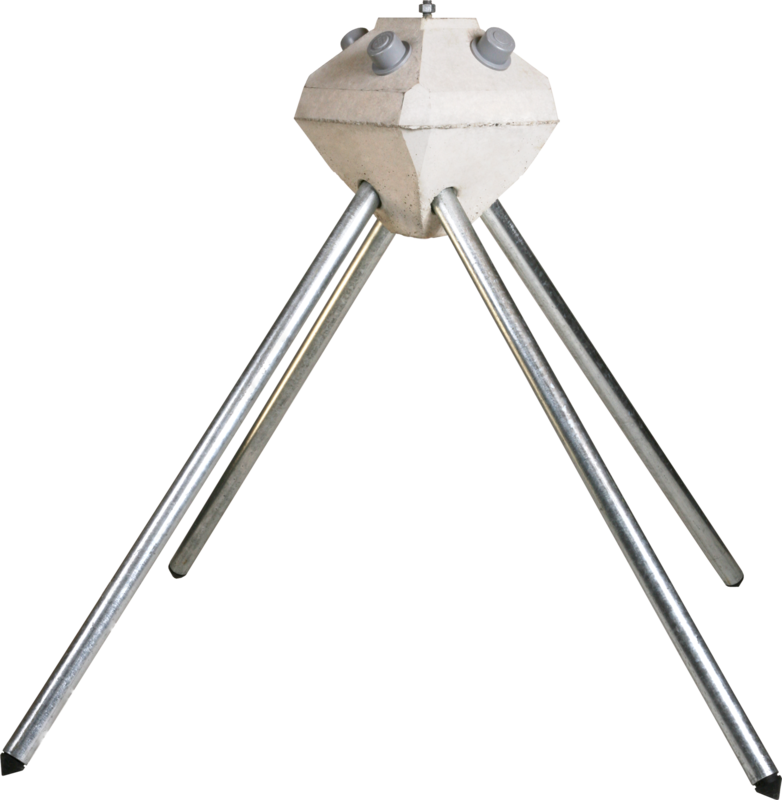 Based on time-tested spread pile technology, the Diamond Pier foundation uses the strength of a precast concrete head to lock in four weight-bearing, galvanized steel pins that transfer the load to a larger area of undisturbed soil than the traditional concrete footing. Functioning like tree roots, this spread pile technology is fast, smart, low-impact, and sturdy. The pins can take only minutes to drive in, saving you days of labor, and there is no waiting around for a hole inspection, as the pin length is inspected by simply running a tape measure down the pin after installation. The Diamond Pier foundation has had years of extensive 3rd party testing and ICC evaluations, and has been used by local, state, federal and international agencies for over 25 years on some of their most demanding projects. The Diamond Pier system has the strength, reliability, and ease that you need for your business. No heavy machinery is required, and you don't have to wait for a certified installer, since you can install the foundations yourself. To go beyond the standard by providing innovative, low-impact foundation solutions that benefit the builder, the homeowner, and the community while providing our customers, vendors, employees, and affiliates with the highest level of quality and integrity. Diamond Pier foundations are manufactured to the highest quality standards. We define the value of our company by the level of our integrity. We take pride in providing excellent, hands-on customer service. We are a family owned business with over 25 years of proven success in the field. Our proven quality, service, and integrity allow you to Build Beyond the Standard. 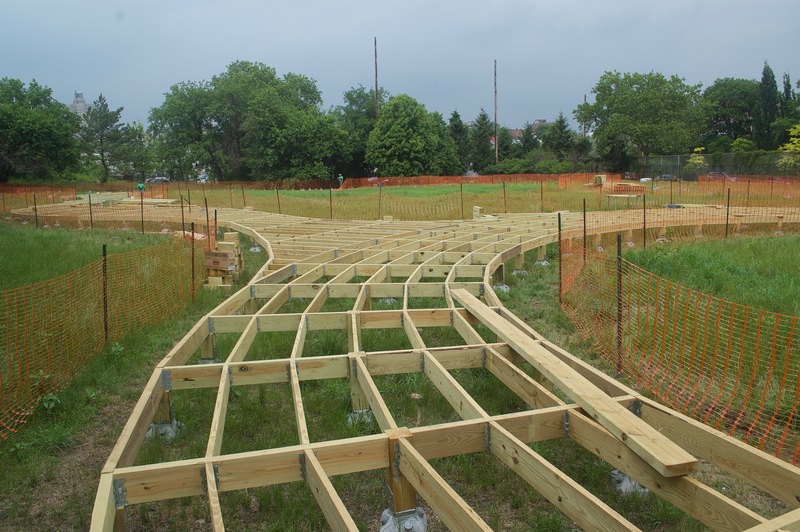 The Diamond Pier DP-75 with 50” bearing pins was specified to support the boardwalk through the Brooklyn Naval Cemetery Landscape. The Diamond Pier system was selected due to low impact installation which requires very little excavation minimizing the disturbance of soils. The Brooklyn Naval Hospital Cemetery was active from 1831 to 1910 and was the burial site for more than 2000 people most of them officers and enlisted men from the US Navy and Marines Corps. In 1926 the Navy relocated individuals to Cypress Hills National Cemetery. 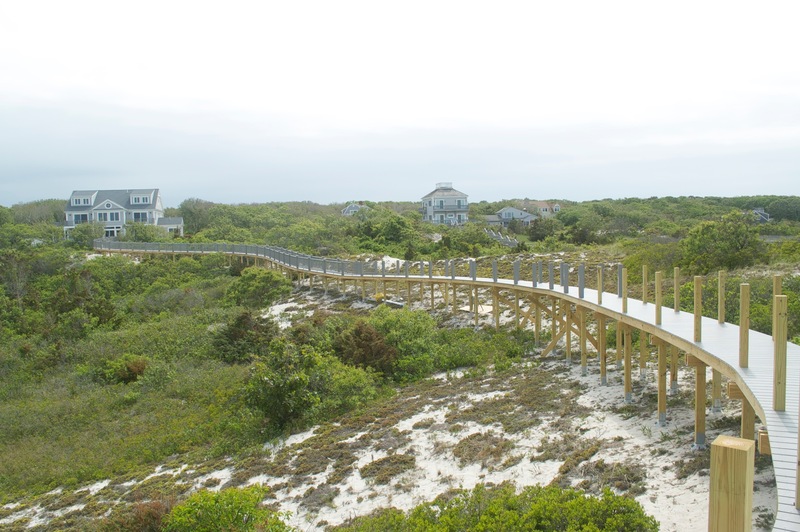 The Diamond Pier DP-75 with 50” bearing pins was selected to support an impressive 300’ elevated residential walkway between a new residence and a pavilion on the beach. The walkway crossed sensitive coastal lands and was designed to be ADA accessible. The Diamond Pier was the perfect system for this project due to it’s proven capability supporting structures in high wind and high water locations. The low impact installation procedure was also a distinct advantage since no heavy equipment was allowed in the sensitive coastal project site. Please visit our Warranty page for full information on submitting your Diamond Pier Warranty Application. 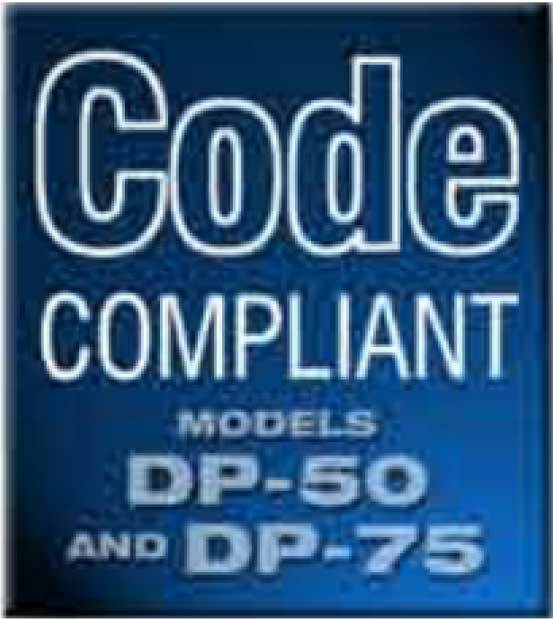 We have invested in the highest standards of code compliance documentation, providing testing certifications through the ICC-ES evaluation services program with our published ESR-1895 code compliance document. The Diamond Pier DP-50/50” & DP-75/63” are 100% compliant with the 2006, 2009, 20012 and 2015 IRC. PFI has a proven history of field performance in a wide range of low-impact foundation systems used in the most innovative building applications. Our innovation and dedication to quality allows you, the builder, to build with confidence and know that your project rests on a solid foundation.